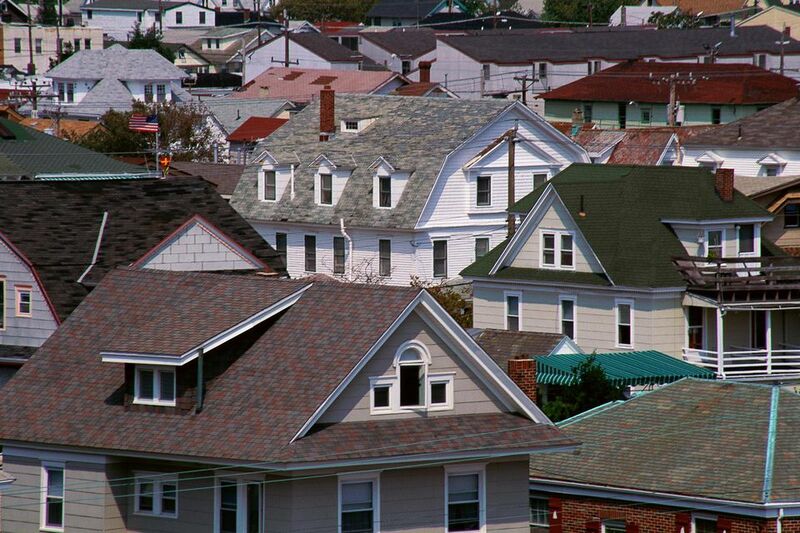 Often, your choice of roofing materials depends on your locality, as much as on your own personal taste. Local styles and codes can dictate which type of roofing shingle you choose - after all, you won't find a thatched roof in Manhattan! Above all, choosing roofing shingles is the time you need to put on your cold, calculating "thinking cap" and look at features cost, fire retarding ability, and wearability. Asphalt composition roofing shingles are the perennial favorite, and this is due to many factors: attractive cost, wearability, and fire retarding properties. Asphalt shingles typically have 30-year warranties (check the manufacturer's specifications for this), and in practice, last even longer than 30 years. Roofing shingle manufacturers no longer produce only the usual flat 3 tab asphalt shingle. Now, asphalt composition shingles have become thicker and more textured and even look like other materials such as wood or slate. This thicker - and naturally more expensive - roofing shingle is called an architectural shingle. Finally, the roofing company will love you for choosing asphalt composition. Asphalt shingles are easier to install and faster to put up than other types of roofing materials. Wood shake roofing material is the dream of many homeowners, and for good reason. Wood shake looks super. When wood shake shingles weather, they do so in a mottled, variegated way that is pleasing to the eye. Also, wood shake, despite being an organic material, can last from 30 to 50 years if properly maintained. Wood shake is mainly cut from cedar, though you can also find pine wood shake. Metal roofing is still a rarity in most developed countries, but it is gaining traction as a building material. Most roofers will not roof in metal - you would need to locate a contractor who specializes in metal. Fancy copper roofing material, of the type seen in historic homes, is out of reach for most homeowners. Galvanized sheet is the better choice. After you go through the pain of installing metal roofing, you get to enjoy it for the next 50 to 75 years - longevity being the chief advantage of metal roofing. True slate roofing is nearly impossible for the do-it-yourselfer to install, it's heavy, hard to obtain replacements, and good luck walking on it (slate is notoriously slippery). Most homeowners who want the "slate look" bypass real slate and go for the "rubber slate" or "composition slate" roofing material. With composition slate, you can make your house look beautiful and feel good about it, too: composition slate is made from post-industrial synthetics. In other words, it's recycled. Composition slate roofing material is still a rarity, but it is gaining acceptance with many home builders, homeowners, and roofers. Also, faux slate takes care of one of the big problems with real slate - its excessive weight. Faux slate is one-third the weight of real slate. Long the most predominant image in Southern California and Florida, the so-called Spanish style red tile roof has been waning in popularity. Other roofing materials are now available which meet ceramic tile's fire retardant ability, and with much less weight put on the roof. This type of shingle is called the half-barrel because it is essentially a cylinder cut in half, length-wise, and roughly sixteen inches long. What is the Best Criteria For Selecting Your Roof Shingle Material? HardiePlank Siding: Gorgeous Stuff, But Is it Worth the High Cost? 10 Gorgeous House Siding Colors That Take You Beyond "Tepid Gray"